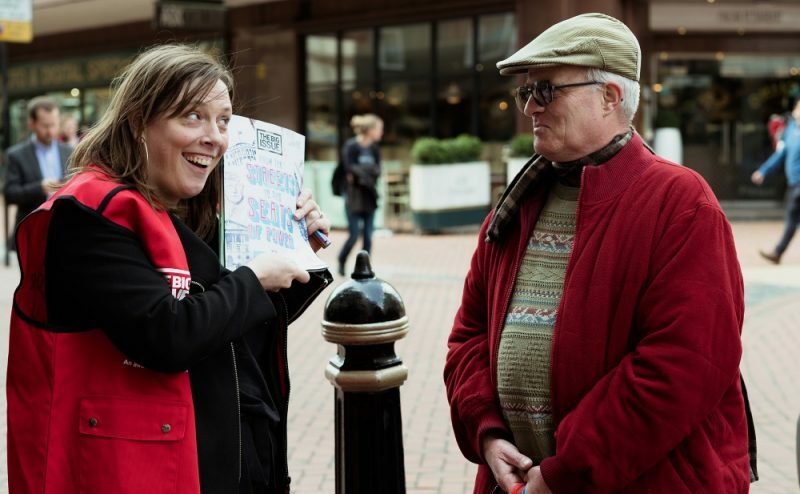 Jess Phillips, MP for Birmingham Yardley, took to the streets of Birmingham this week to get a taste of life as a Big Issue vendor. 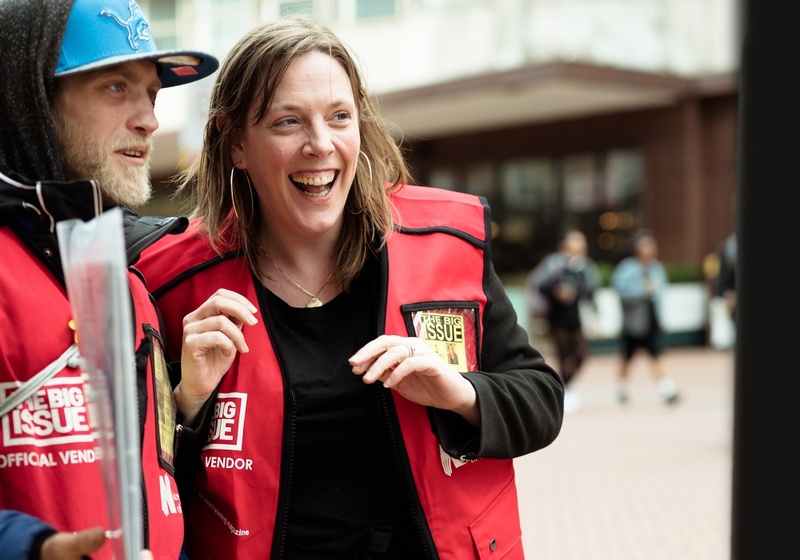 Joining 25-year-old Big Issue vendor Michael Hadley on his regular pitch in Piccadilly Arcade, the parliamentarian spent Thursday experiencing the challenges of selling the street magazine first-hand. Phillips admitted that she “felt invisible” after spending an hour on the pitch, selling two copies of the magazine. 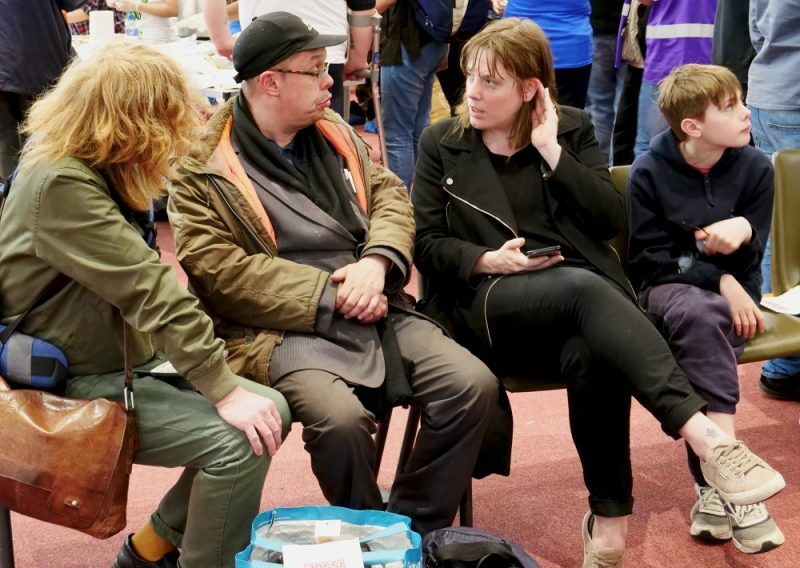 “It was a good experience and the sun was shining throughout,” said Phillips, who was first elected to the Birmingham Yardley constituency in 2013. “I managed to sell two magazines – the first person I sold to had no idea who I was but I think the second one knew that I was an MP. Phillips, who featured in The Big Issue’s Letter To My Younger Self section in February, admitted that the eye-opening experience has changed her perspective on the challenges involved in selling the magazine. “After the experience, I’ll always buy The Big Issue. I know a lot of people walk past vendors – I have done it in the past – and I will make sure, as a politician, that I will do all I can for people on the streets,” said Phillips. “I found it to be a fascinating experience to see how people ignore you and how you can feel invisible. I felt a lot of people were looking away from me. 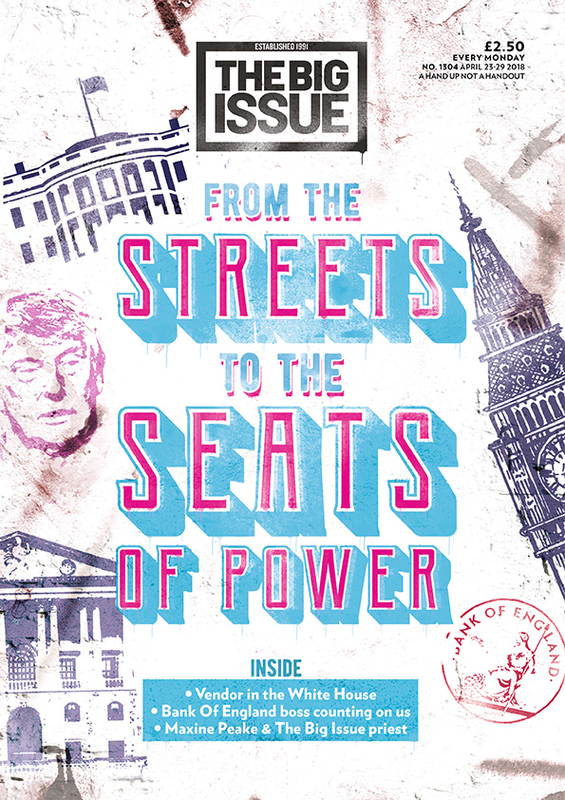 The Big Issue is an award-winning weekly entertainment and current affairs magazine which was founded in September 1991 by by John Bird and Gordon Roddick, as a new hope for homeless and vulnerably housed people across the UK. Vendors buy magazines for £1.50 and sell to the public for £2.50, keeping the difference. In this way the magazine provides them with the means to earn a legitimate income. Vendors come from a variety of backgrounds and face a range of issues, but all are experiencing the effects of poverty. Upon becoming a Big Issue vendor they receive training, are allocated a fixed pitch from which to vend, and must agree to adhere to a code of conduct whilst selling the magazine. Since its launch in the 90s, over 200 million copies of The Big Issue magazine have been sold by over 100,000 vulnerable people. 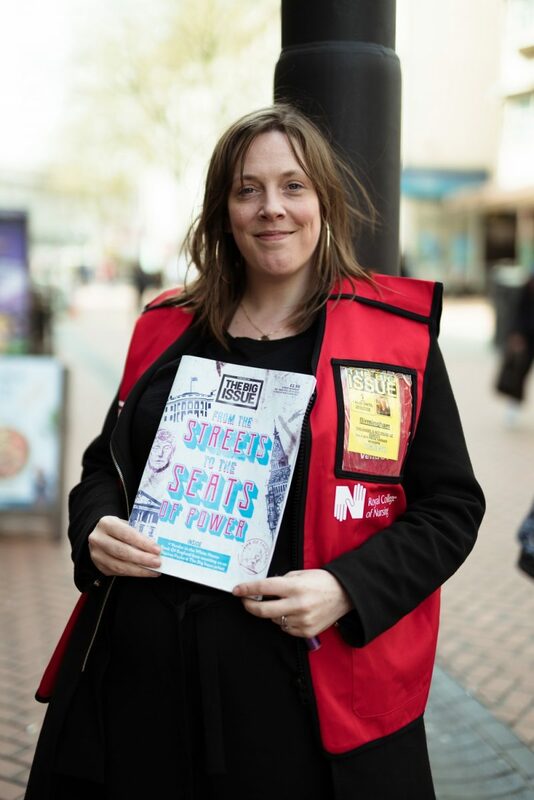 The Big Issue Company Ltd.
“The sell-off experience was a great opportunity to show Jess, on a small scale, what everyday life selling the magazine on the streets of Birmingham is like for Big Issue vendors. The Big Issue, the magazine sold by vendors to lift themselves out of poverty, is available to buy now from across the UK. « Wolverhampton Art Gallery preparing for Viking invasion!